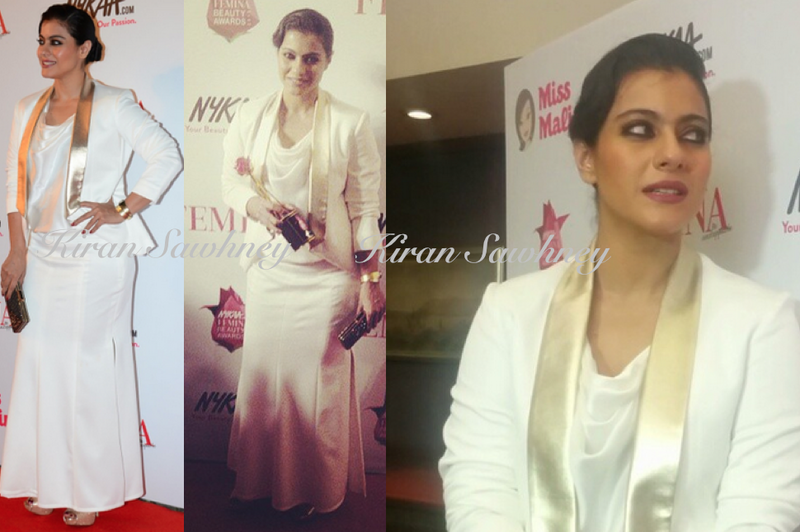 Kajol attended the beauty awards last evening wearing a white skirt, top and jacket from The Circus. She teamed it with a cuff from Futurology and a glittery Judith Leiber clutch. True to her style, she wore a chunky pumps. We feel that the skirt did not fit her well. Specially around the waist, where the creases are visible. The jacket also does not seem to fit her too well. Such a nice outfit, gone waste.